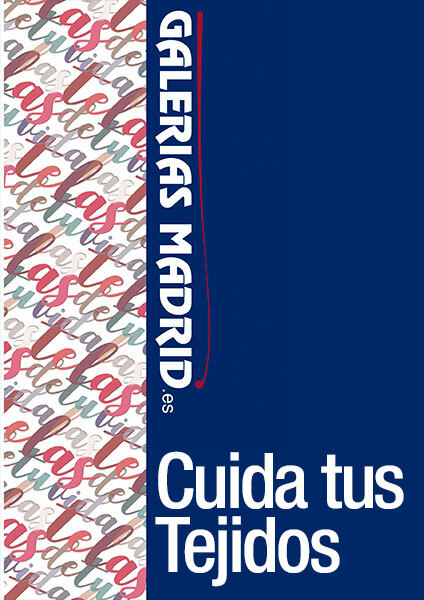 Galerías Madrid Is a company dedicated to the sale of Fabrics, Curtains, Home textiles, Flamenco dresses and Costumes. Our network of numerous establishments allows us to offer unbeatable prices and a wide range of high quality products. In our fabric shop store we close to our customers the latest textile trends of the Italian, French, Indonesian markets ... We are exclusive distributors of the the Flamenco Brand DOÑA ANA,one of the most important in the market. We also offer added values to our customers, ​​such as the making of stores, curtains (Including drapes) , table cloth cover, bedspreads, duvets, Japanese panels and everything you need for your home. Galerías Madrid began its activity in 1965 with the purpose of marketing all kinds of fabrics, fabric confections, knitwear and similar activities. Our first establishment was located in Imagen street, 10 in Seville. In 1975 we moved to Cuna Street, 42, which since then became our main establishment. During the eighties of the previous century, this commercial enterprise started its expansion in the province of Seville and during the nineties in the provinces of Badajoz, Cordoba, Huelva, Malaga, Jaen and Cadiz. During these years we have been introducing different product sections and we currently offer Fabrics, Curtains, Home products, Flamenco dresses and Costumes, while having a network of franchised stores in Andalusia and Extremadura. In 2015 Galerías Madrid celebrates 50 years. and we would like thank all our clients, suppliers, workers and friends for their affection & understanding throughout these years. We assure you that we will give great attention to all your needs and serve your best interests.